Available with Windows 10 Pro - for a smooth, versatile PC experience. 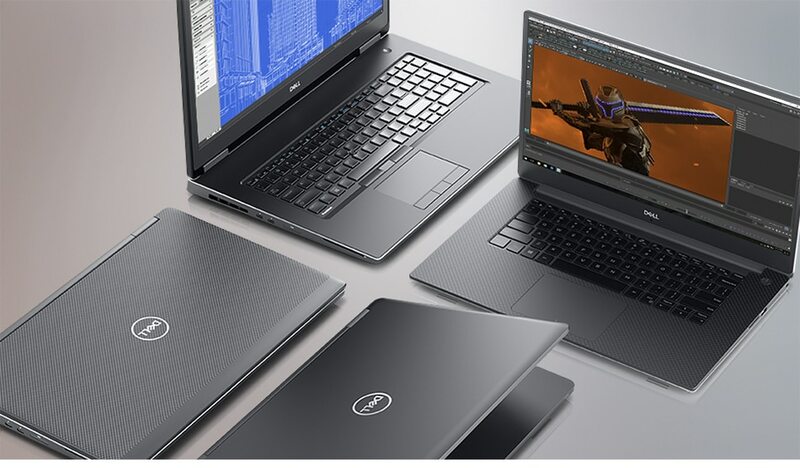 Experience unrestrained innovation with the thinner and lighter, premium-built Precision mobile workstations. 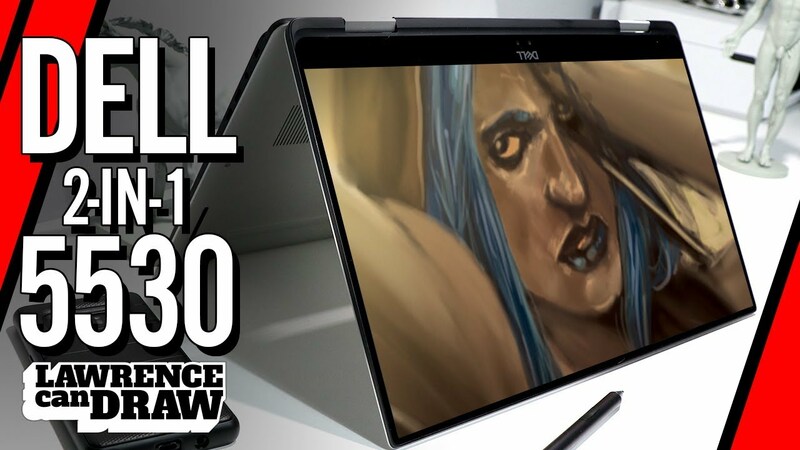 Built with the latest Intel® Core™ and Xeon® 6-core processors, blazing-fast memory and professional graphics, the Precision mobile family is engineered with power that rivals your own ingenuity. 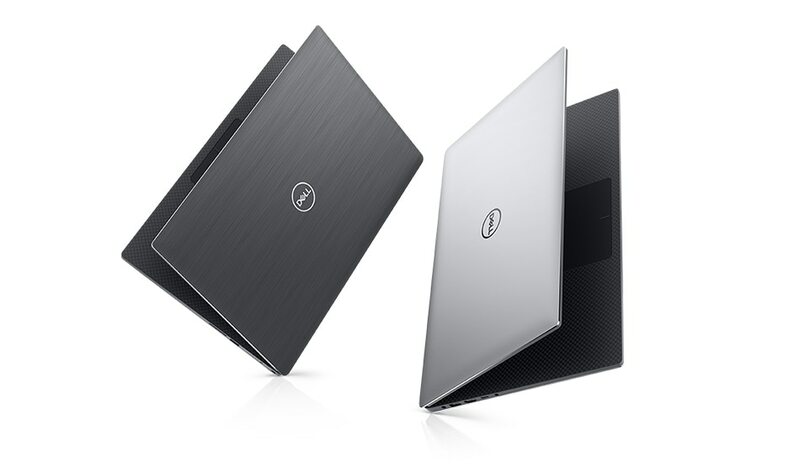 Exceptional design: On Dell's thinnest and lightest mobile workstation, performance has never looked so good. Now available in Platinum Silver or Brushed Onyx, the sleek, compact design fits a 15.6-inch display into a 14-inch chassis. Dazzling display: An InfinityEdge display with 4K PremierColor ensures brilliant, virtually borderless viewing, while new IGZO 4 display options deliver better contract ratios, touch support and picture quality with up to 2 hours improved power consumption. Fast-track your workflow: The latest 8th Gen Intel® Core™ and Xeon® 6-core processors, including our first ever Intel® Core™ i9 in a mobile workstation, deliver the power for maximum performance, even from demanding professional software. Professional-grade graphics: Boost performance of extreme graphics applications with next-generation professional graphics up to NVIDIA® Quadro® P2000. An intense graphics upgrade packed into an incredibly mobile design. Faster memory speeds: Accelerate workflows with enhanced 2666MHz memory speeds up to 32GB. Expandable storage: Access, transfer and store large 3D, video and multimedia files quickly and easily with up to 3TB of SSD storage. A feat rarely seen on mobile workstations with such a thin and light frame. 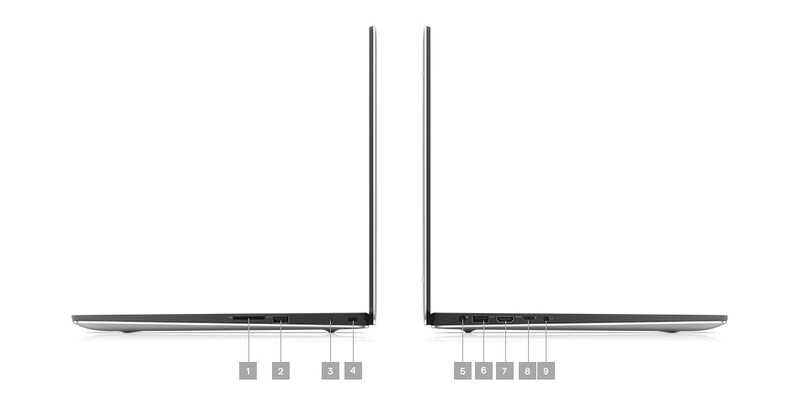 Simple office integration: Thunderbolt type-C with x4 PCIe and HDMI 2.0 ports keep you connected to everything you need. Revolutionary thermals: This cooling system features dual fans, designed to improve airflow and keep your system cool under heavy workloads. Tuned performance: Free with your Precision workstation, the Dell Precision Optimizer delivers faster application optimization with a single click compared to HP Advisor*. It also automatically tunes your workstation to run popular ISV applications at the fastest speeds possible, has automated system updates and provides analytics to address resource bottlenecks. Premium customized performance: Upgrade to the new Dell Precision Optimizer Premium version, the world’s first AI-based performance optimizer software for workstations*. This program learns the behavior of any user-specified applications, identifies optimization opportunities using machine learning and applies performance improvements. Dell provides innovative data security solutions that meet security challenges and business concerns head-on to protect your most critical and at-risk asset, your data. With Dell Data Security solutions, end users can work where and how they want knowing that their data is protected. Dell Data Guardian protects data wherever it goes while Dell Endpoint Security Suite, powered by Cylance, stops up to 99% of malware. 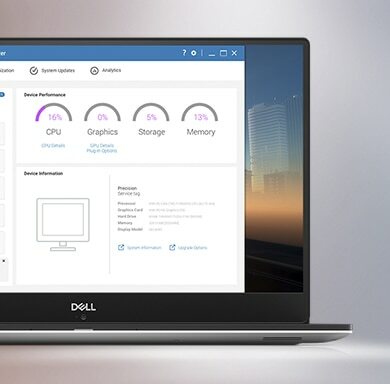 Part of Dell’s most manageable line of commercial PCs featuring the free Dell Client Command Suite toolkit for flexible and automated BIOS and system configurations. Optional vPro extensions allow for out-of-band systems management. The Precision mobile workstation has been subjected to MIL-STD 810G testing, ensuring durability and reliability for wherever your job takes you. Independent Software Vendor (ISV) certification: Precision Workstations are tested to ensure the high-performance applications you rely on every day run smoothly. Dell ISV-certifications cover the most popular independent software applications.